Video games are not just rich school curriculum for sixth graders, as I posted yesterday. As U.C. Berkeley did last year, the University of Florida is offering a two-credit class called "21st Century Skills in StarCraft" to teach resource-management and decision-making skills, as well as critical thinking and adaptive decision-making. As an ecampus news article points out, these types of courses are not commonly seen on college syllabi, but there's potential to create a useful prototype for similar classes in the future. Here's the description of the course on the University of Florida website, which explains the goals of the class. Computer and video games of all types have become a major part of today's entertainment and technology worlds. Also, online education is an area of intense growth with many employers and professions using online courses and workshops for career development. This course synthesizes the three threads of 21st Century skill development, gaming, and online education into an innovative and experiential approach that encourages students to identify, learn, and practice crucial skills and apply and relate them to real-world situations. 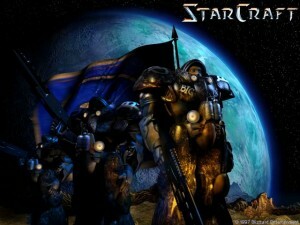 It does not teach about Starcraft, but rather aims to utilize the game and the complex situations that arise within it to present and develop the important skills professionals will undoubtedly need in the 21st century workplace. What do you think about a college course incorporating video games to teach 21st century skills? Would you consider taking it?